"British rapper Giggs has had his UK tour pulled after police warned promoters over safety fears. 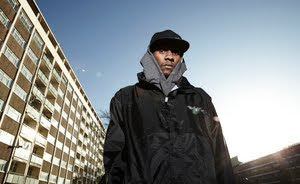 Giggs, from Peckham, London, and recently signed to XL Recordings, was due to play 10 dates starting tomorrow in Birmingham. However, police confirmed that they warned organisers about security concerns after being contacted by the promoters for Giggs' London date on 4 March at the O2 Islington Academy. This isn't the first time Giggs has run into trouble with the law. In 2003, he spent two years in prison for possessing firearms without licence. Ever since, the rapper has complained that Operation Trident has followed his movements, informing venues and record labels of his past in an attempt to shut down his musical career. Giggs recently told the Observer's Paul Morley that Trident contacted XL on the day before he was signed to scare them off. He claimed people from his label were 'shaken up' after getting the call and were unsure whether to offer him a record deal. Giggs believes that police phoned venues before the start of the tour, exaggerating security risks. Considering his backstory, though, this kind of publicity may not be too harmful. As the rapper himself said: 'I just want to thank police for all this great promotion that they're giving me, all these cancellations, which are making me more powerful.'"